Adorn your living room with this traditionally styled square ottoman. Use as an additional seat, cocktail table or comfortable footrest for two. 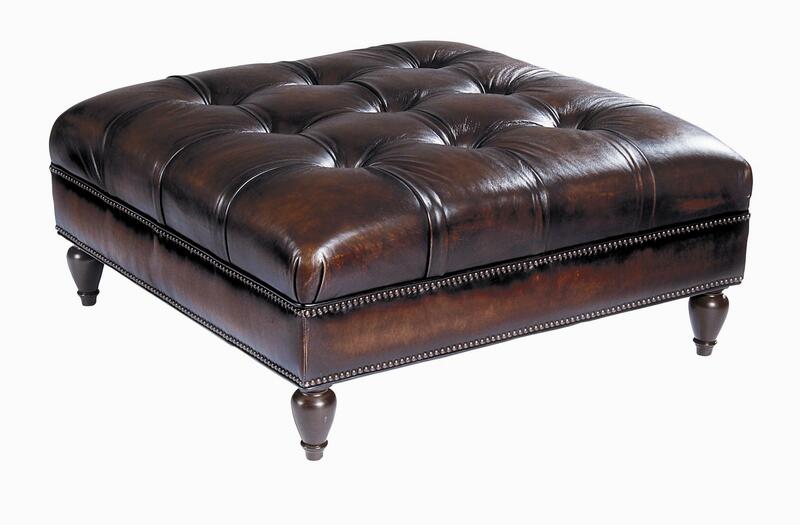 A leather tufted seat is features that adds a classic style to this ottoman. Highlighted with a bronze decorative nail head trim and exposed wood legs add to the finishing touch of this square ottoman. 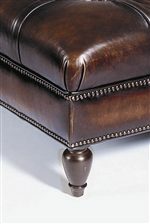 The Colston Square Ottoman by Bernhardt at Miskelly Furniture in the Jackson, Pearl, Madison, Ridgeland, Flowood Mississippi area. Product availability may vary. Contact us for the most current availability on this product. The Colston collection is a great option if you are looking for Traditional furniture in the Jackson, Pearl, Madison, Ridgeland, Flowood Mississippi area.